Oatmeal Raisin Cookies are so easy to make and perfect served with a tall cold glass of milk! 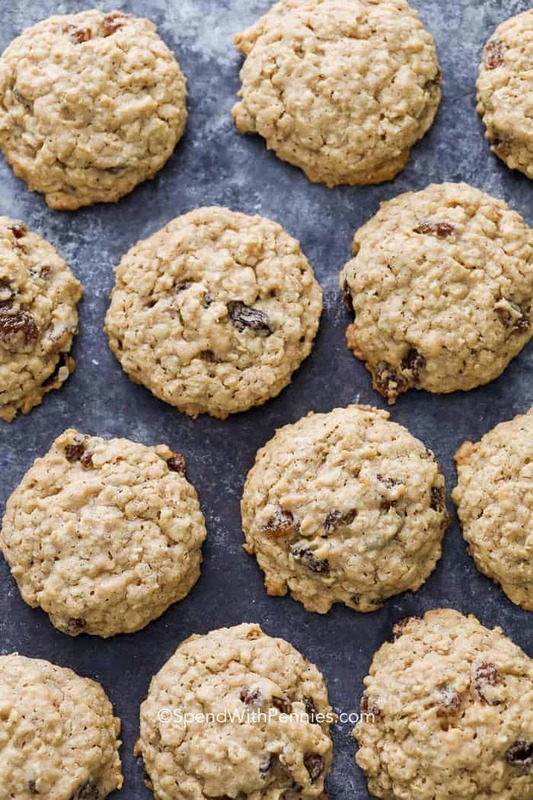 They’re soft and chewy and loaded with oats, raisins and a hint of cinnamon. Just like a Chocolate Chip Cookies, these oatmeal raisin cookies freeze perfectly and are a great addition to a lunchbox. 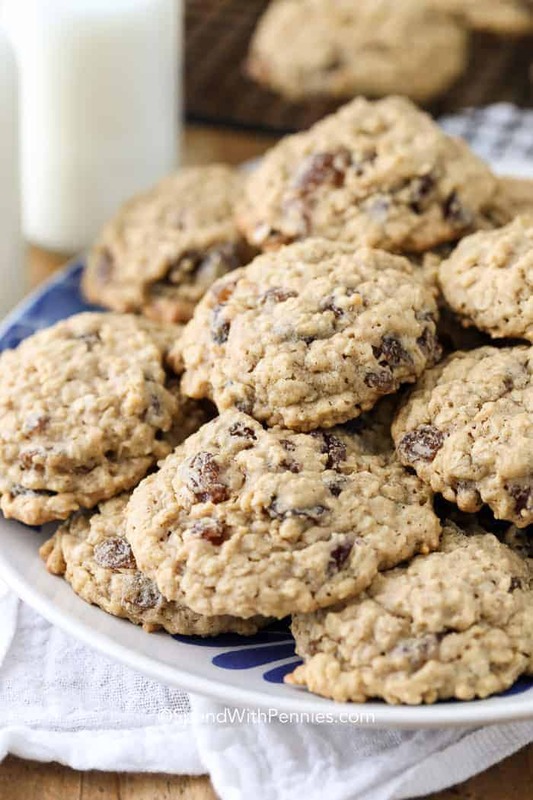 Oatmeal and raisins take main stage in this cookie recipe with just a hint of cinnamon. 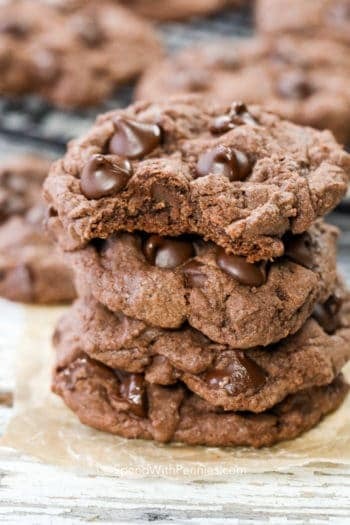 To top things off, these cookies are the perfect combination of soft and chewy! 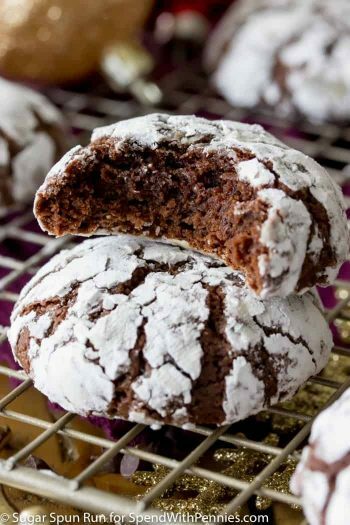 Cookies are generally made the same way, no matter if it’s Funfetti Cookies, or our favorite Chocolate Crinkle Cookies. Cream together sugars and butter and add eggs. Combine dry ingredients in a separate bowl. Stir in ingredients such as baking chips, nuts, or in this case, raisins. 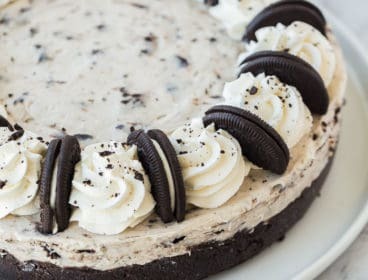 Drop by spoonful onto baking pan and bake. 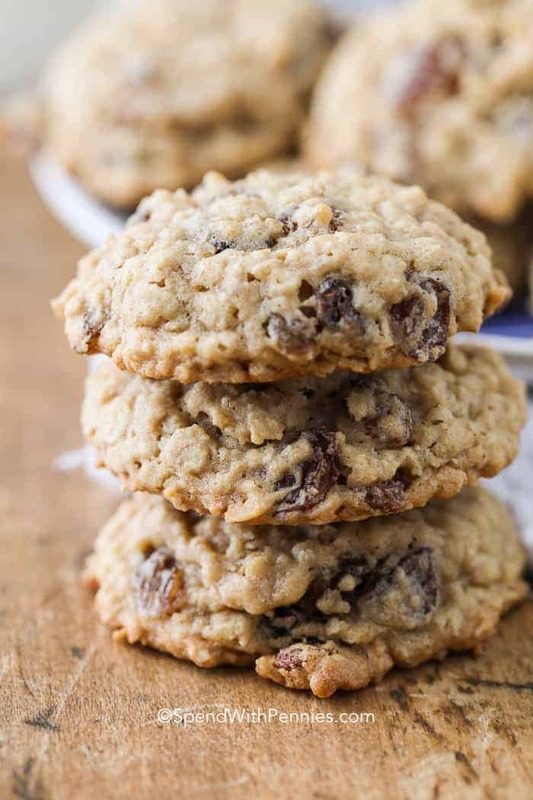 While oats are often enjoyed for breakfast in a bowl, in Banana Breakfast Cookies or as Blueberry Baked Oatmeal they make a perfect addition to this oatmeal cookie recipe! Oatmeal Cookies should bake for about 10 minutes. If baking from frozen (directions for freezing below), you will need to add 2-3 minutes to bake time. 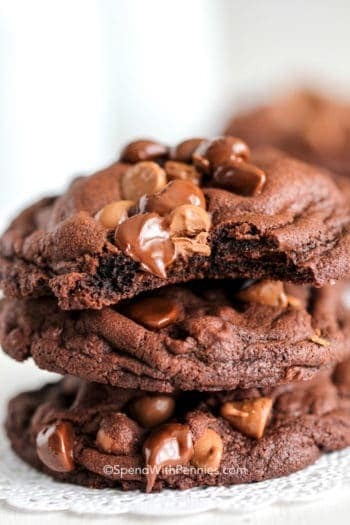 For softer cookies, be sure that you do not over bake! 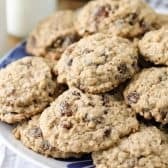 If you are lucky to have cookies leftover, after the first wave of hungry family hits oatmeal cookies will keep in an airtight container for 2-3 days on your counter or pantry. Can You Freeze Oatmeal Raisin Cookies? Baked Oatmeal Raisin Cookies will last in an airtight container in the deep freezer for 4-5 months. You can freeze these oatmeal raisin cookies before baking too! I actually love doing this because you can have freshly baked cookies in minutes. 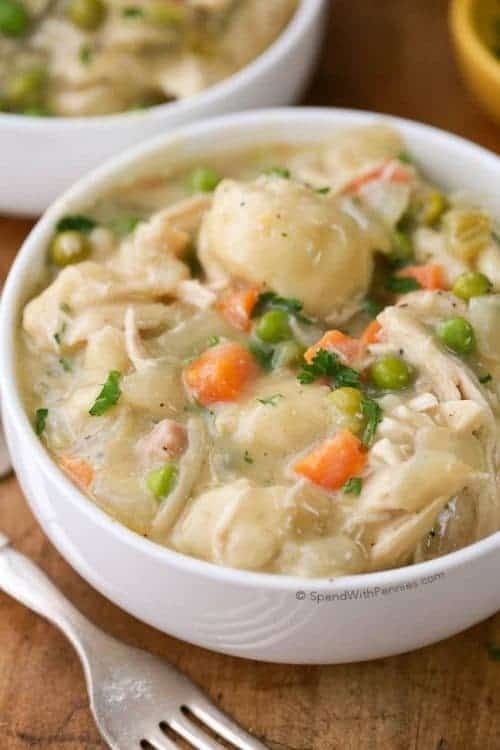 I suggest dropping by spoonfuls on a parchment lined pan and freeze. Once frozen, transfer to a freezer bag or container. To bake from frozen, simply take out as many as you need and to allow cookies to sit at room temperature for about a few minutes prior. These really are the ultimate oatmeal raisin cookies because they’re so soft and chewy. They contain a higher ratio of brown sugar to white sugar, as well as molasses and raisins. 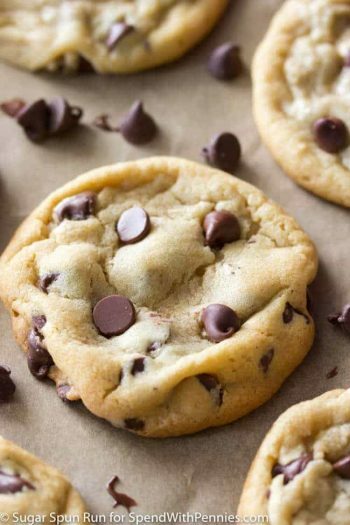 Because of this, they are higher in moisture than mosts cookies and will be generally softer and chewier (of course just be sure not to overbake). Pumpkin Chocolate Chip Cookies – Perfect year round! 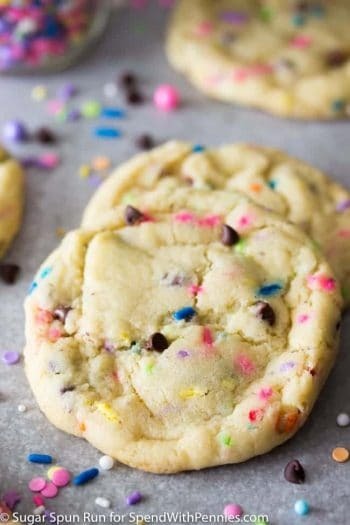 Cake Mix Cookies – So easy! 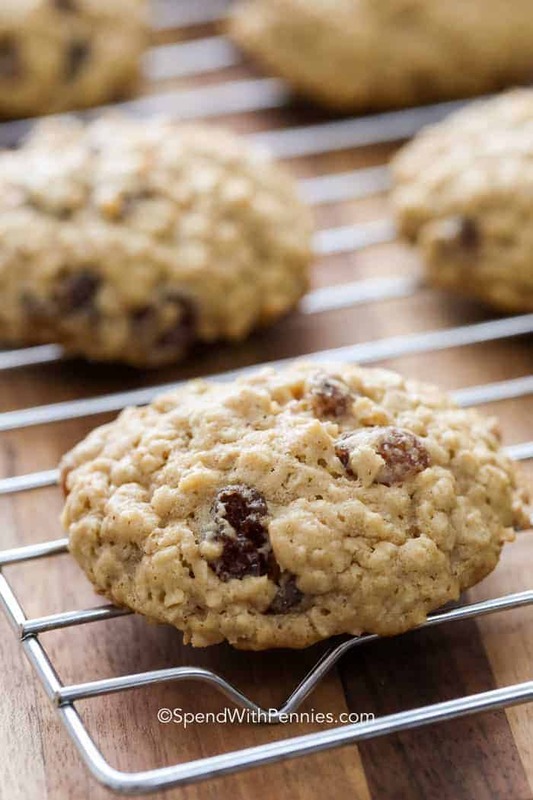 A soft chewy oatmeal raisin cookie is the perfect snack! Preheat oven to 350 degrees F. Prepare cookie sheets with parchment paper. Combine oats, flour, baking soda, salt and cinnamon in bowl. Set aside. Cream together butter, brown sugar and white sugar until fluffy. Add eggs, molasses and vanilla. Beat till smooth. Gradually add the oats mixture to the creamed mixture. Stir in raisins. Drop by 1 1/2 tablespoon scoop onto prepared cookie sheets. 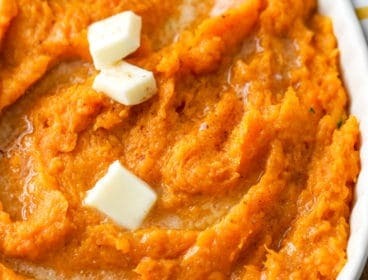 Bake 8-10 minutes or until just lightly browned on the edges. I am so glad you loved them Susan! I didn’t have molasses, so I used honey instend. They turned out great. As I eat one of these warm soft cookies writing this review; I can honestly say these are so very Good!! 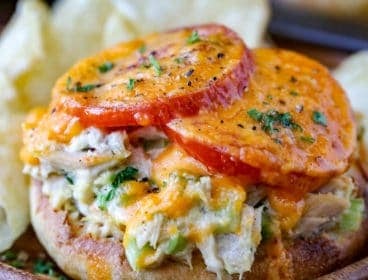 What drives me nuts, are the reviews that say ” oh this looks good, I’ll have to try it”, but they never review on the taste! I 100% give these a 5 star review. The molasses gives these a moist, soft finish (not gooey) and oh so yummy. I did have to change the flour; as I am Gluten free – Using a Home made Blend made from King Aurthur’s Website, and worried they would bake spread out and flat like most GF cookies do, but these babies held their shape and look and taste like a real cookie should! 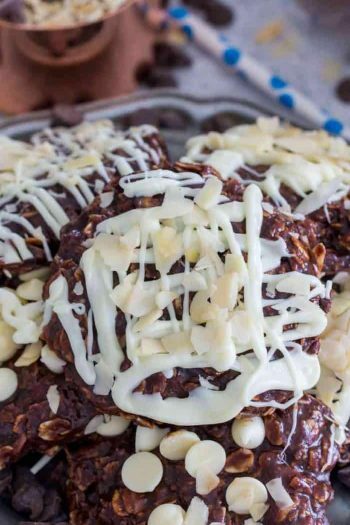 I’ve made Quaker oatmeal cookies since I was a kid and this recipe is replacing it. Thanks for posting. they were perfect for the cold weather and a sweet treat. Thank you for sharing Eileen! I’m so glad to hear you love the cookies! 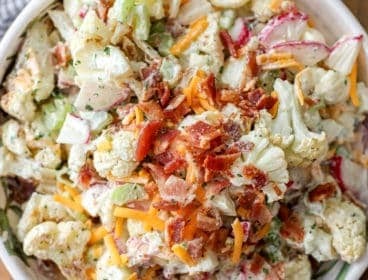 I think I will try these using Craisins instead of raisins. 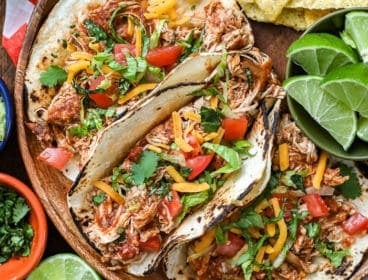 Yummy idea! Let us know how it goes! 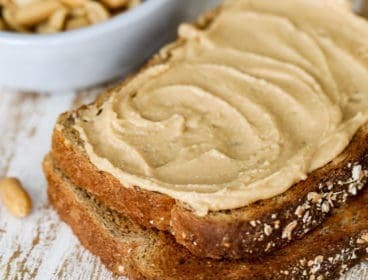 Yum, love the idea of adding the nutty flavor of almonds!